Win a “Malibu Music Awards” gift bag and more! The Malibu Music Awards took place last month and we’re giving away one of their prestigious gift bags with prizes valued at over $100 to one lucky winner. 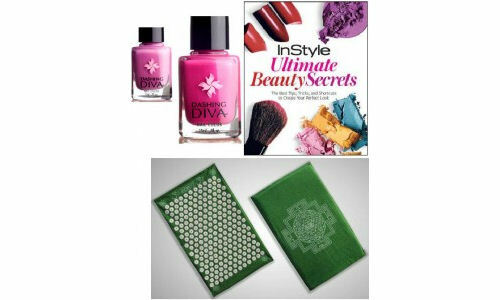 Another lucky winner will win the new InStyle: Ultimate Beauty Secrets beauty bible and an assortment of Dashing Diva nail colors used at the recent NYFW shows. –You MUST fill out short entry form AND answer the TRIVIA question about the video in the space provided on the entry page to qualify. It’s so easy, just read the question below the video and watch the video for the answer. -Don’t forget to follow us on Twitter at www.Twitter.com/FushionMag and retweet this. One winner will be chosen from Twitter. -Contest ends Tuesday, November 2, 2010 at 5pm EST / 2pm PST. Winner will be notified by email and/or phone. If contest winner does not provide a valid mailing address by the specified time, another winner will be chosen. What was the occupation of Luke’s ex-girlfriend, who had gotten a nose job? I have never won a gift bag and I would like to win this one. Some of the content would make some nice gifts.